Keeping all my makeup in one bag is one of the biggest tasks of going away. I like to keep products to a minimum, only bringing one of each and using multitasking products when necessary. 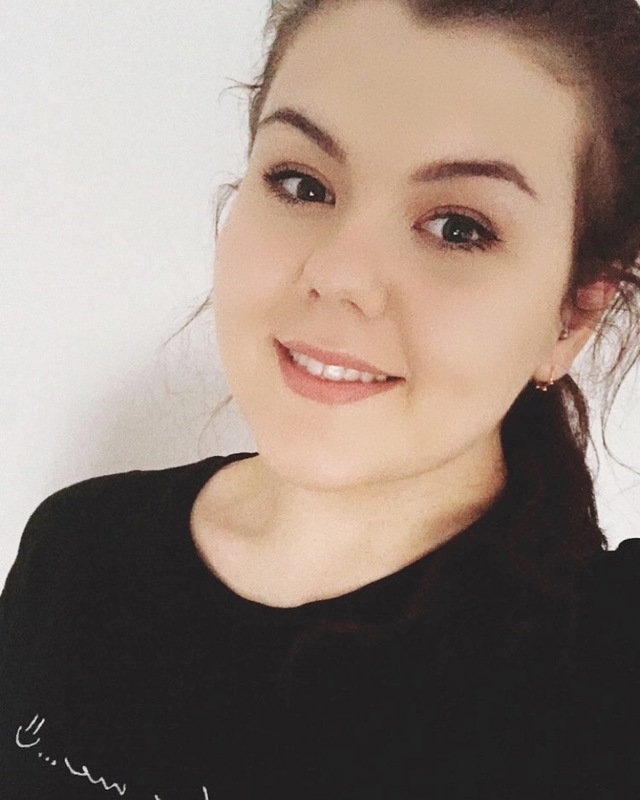 I'm going away on a staycation very soon, so wanted to share some of my top tips and the contents of my makeup bag. 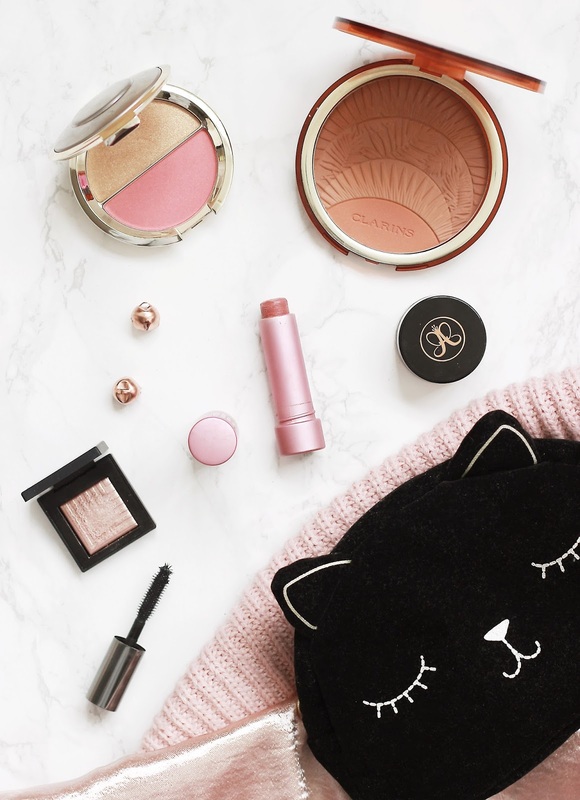 Makeup bags tend to fill out with foundation and a beauty blender, so I like to opt for slimline packaging and if it's a tight squeeze, opt for a foundation with a little bit more coverage so I don't need to bring an array of concealers, if any at all. The Becca Split Pan's are great for saving space because they're a blush and highlighter in one. The soft pink hue goes with a variety of looks and is a go-to of mine whenever I am in doubt with what to wear. When it comes to eyeshadow, I tend to skip bringing a palette as it takes up too much room, instead I reach for my bronzers to work as a crease shade and opt for a single eyeshadow like the Nars Rigel offering to help brighten the eye area. Although not the most practical, I've given myself a little leeway with how many brow products I bring. I tend to use quite a few from day to day, but I've managed to whittle it down to just the Anastasia Beverley Hills Dipbrow and an eyebrow brush. As for mascaras, I've actually dug out some of my miniatures, opting to bring the Benefit So Real Mascara. It's the perfect size just to throw into your makeup bag and you don't run the risk of running out, as it actually holds a considerable amount. Miniatures in general are something I collect up ready for a holiday, you can easily find them in magazines and most places give you some to try out when buying online (or even asking in store!). Perfume can be a little difficult to pack as you don't want to bring heavy bottles around with you and run the risk of them breaking. 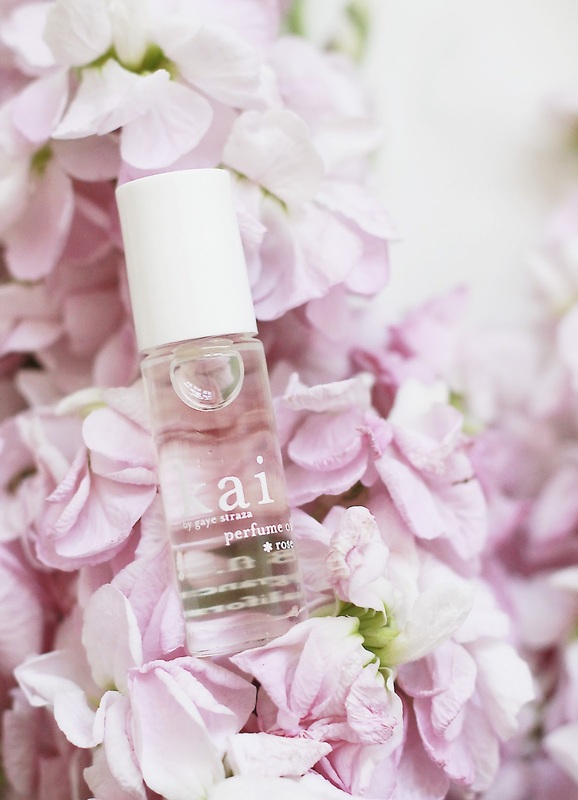 I've recently switched to rollerballs and have been carrying them around with me with ease - The Kai Rose Perfume Oil* is currently my top pick as it packs a punch, but is small enough to fit pretty much anywhere. What are your top tips on packaging light for going away?